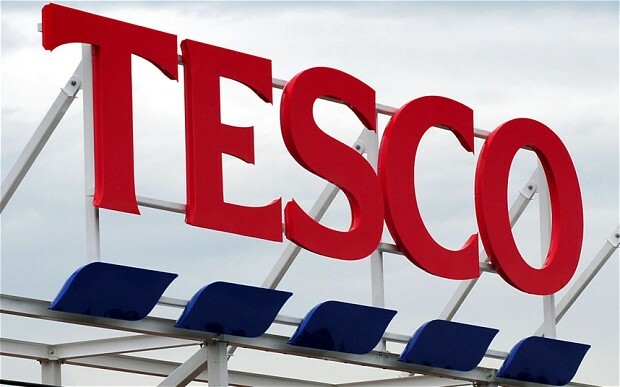 This week, the UK supermarket Tesco has landed itself in trouble over providing incorrect figures of its profits to the city (the stock markets). Now questions are being asked about whether Tesco bosses were being deliberately misleading, or instead incompetent. From a psychological perspective, I believe the answer lies in a factor named ‘metacognition’. Some of you who follow me on Facebook or other social media channels will know that I have been making a bit of noise recently relating to this topic. 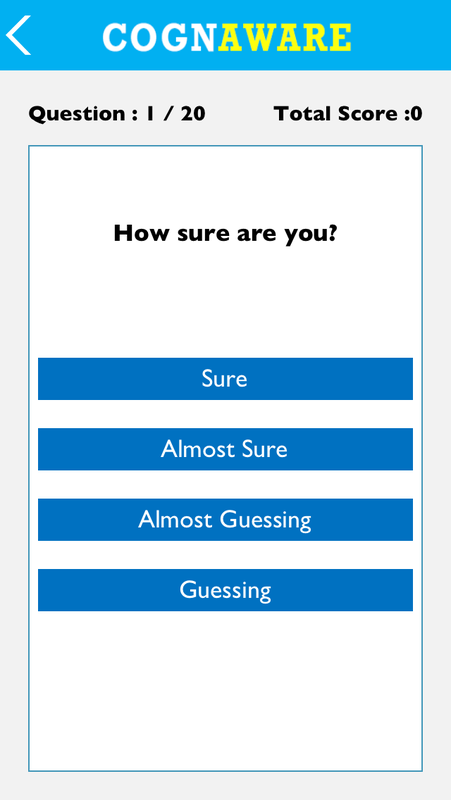 I’ve been publishing my latest metacognitive awareness score, which has been calculated through a smartphone app, which I have been working on during the last few months. With this blog post, I intend to answer the questions of what it is about and why you should want to download it. So, what is metacognition? Metacognition means knowing about what you know. We are defining it as an awareness of ones own knowledge and mental processes. A higher metacognitive awareness will make you think better. It will help you to be more effective in how you handle your knowledge and your learning. The app we have produced is based upon several years worth of research conducted at Bangor University. Through empirical studies, it was shown that this metacognitive awareness could be increased through confidence based testing. Confidence based testing is a secondary component attached to a question, wherein the participant not only gives an answer, but also an indication of their surety of that answer. As a result of these studies, we have developed the Cognaware app to replicate the study methodology for individual smart phone users. This general knowledge quiz will reward confidence in correct answers, as well the users ability to correctly identify when they are guessing. On the flip side, it will punish users who are confident in an incorrect answer, while giving only a token point for users getting a correct answer thought to be a guess. The responses are then analysed, using signal detection theory, to give you your metacognitive index, or in other words, your ability to discriminate between what you know and what you don’t. At this point, you may understand everything I just said, or you may find it all awfully complicated. Instead of worrying about the ins and outs of it, let me tell you why metacognitive awareness is important. Have you ever listened to somebody harp on about something, when they don’t actually know what they’re talking about? Politicians and other people trying to save face do it all the time. Either these people have no integrity, or they have a poor metacognitive awareness, although in reality it is probably an interaction of them both. Consider the way we handle knowledge, whether it be in business or higher education. Working with accurate facts and knowledge is the difference between a cutting edge success and a tragic failure. When it comes to hard line reality, sometimes saying ‘I think’, just won’t do. In the aftermath of the Iraq war, the evidence (i.e. the absence of weapons of mass destruction) revealed that the grounds for the invasion of Iraq were based on a hunch. When I listen to political debates, I am becoming increasingly aware of the absence of sources being used to back up politicians arguments. We have seen some tragic and foolish decisions made off heuristic knowledge. Bringing it back to Tesco, I believe that if more people within the senior ranks of the organisation had a higher metacognitive awareness, somebody would have blown the whistle before it came to this. Either through an increased conviction in recognizing discrepancies, or through being more willing to face the reality that the city would notice a £250 million deficit, that ability to discriminate between hopeful ‘I think’s’ and reality might have saved four senior executives their jobs. Now this isn’t a miracle pill. It’s not a get rich quick scheme. It’s an evidence based app which will train you in a wise thought pattern. But now you are aware of metacognition, and the role it plays, and so I ask you: is this a skill you want to work on? If it is, a daily quiz on Cognaware is a fun way to do that. Remember, it’s not what you know, it’s what you know about what you know. Cognaware is available on the Apple and Google Play stores. For more information, including learning about the peer reviewed literature that supports metacognition, please see www.cognaware.com.